At the end of each year, the staff at Emu like to take a look back at the changes that have happened in the world of search. It’s a good habit, and one every small business owner who cares about their online presence should join us in doing. Things are changing rapidly online, and 2018 was no exception. One of the biggest changes this year was in how agencies and small business owners need to approach local SEO. A quick aside if you aren’t familiar with the term: local SEO refers to optimizing your website for local search. For example, if a customer pulls out their phone and searches “restaurants near me”, Google is going to return a local search results page much different than if someone searched “Best Restaurants in the World”. So what’s new with local SEO? Particularly Tampa local SEO? Googles search algorithm (local or global) relies largely on backlinks, meaning links from other websites to your website, to determine the authority and validity of your site. 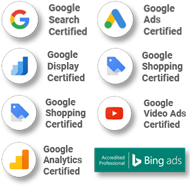 Having your business appear on listing websites such as SuperPages, HomeAdvisor, HotFrog, etc would be indexed by Google. Each backlink from those websites to yours that included the same NAP (Name, Address, and Phone Number) as the ones listed on your own webpage would help increase your local seo ranking. So, if you were targeting our Tampa local SEO market, you would want to spend hours adding your website to each of those listing websites and taking special care that each website had the exact same NAP that you had listed on your own. There are services like Yext that could do this for you, but they are expensive, charge monthly, and if you ever cancel the service your listings go away. Yuck. So are citations still important for Tampa local SEO? Citations are still a local SEO signal used by Google, yes, but they are becoming much less important than they were in the past. Based on a survey conducted by David Mihm taken from about 40 of the top SEO practitioners, citations have dropped about 19% and now account for just 11% of your Tampa local SEO ranking. Google has dominated national search, and wants to dominate local search as well. It recently launched Google Local Services, which is a lead collection service that charges local service contractors per lead and connects them with customers in their area. It’s scrapped it’s failed social media platform Google +, and has focused a lot of time and attention on Google My Business, which is a portal that allows business owners to control their company listing. Google’s endgame is this: they want to focus on “Zero Click Search Results”. What this means is, they don’t want to send anyone to a website to get the answers they need. They would prefer that you just log into Google My Business and input all of your information on their page. They own it, they control it, and they can deliver it without having to send an end user to a website at all. Reviews were a huge deal before Google My Business, but now Google is using them as a local search signal. Having 5 stars was nice before. Now, it might impact who get’s seen and who doesn’t. You’ll want to create a system inside your business to solicit reviews from your best customers, and then respond to those reviews publicly when you get them thanking your customers for their feedback. Google is now even using keywords in reviews left by customers as a signal in your ranking. Google wants you to use their platform. So use it! Log into your Google My Business account and post frequently about any specials or discounts your company is offering. If you have a content strategy in place (which you should), then that would be a great source of material to post as well. If you need help with a content strategy for your business and you don’t have the time to write a 500 word article every week and post it everywhere it needs to go, give us a call for help. Log into your account (if you are one of our clients, don’t worry about this: it’s already done), and fill out every field. Really. Every single one. You’re going to want to make sure that your listing is as complete as possible. Also for those interested in Tampa local SEO, Google has a Q&A section now. Many people don’t even realize this is there yet, so go ahead and seed your Q&A with all the questions your customers usually ask. Then answer them. If you have an FAQ page on your website already, just port that content over to Google’s Q&A. 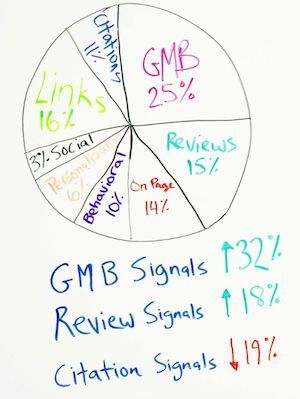 Backlinks, one could argue, might even be more important for local search because very few small businesses have them. This barrier to entry, if you can pass it, could really move the needle for your business if your site has links and your competitors do not. 5.) Don’t be overwhelmed, and ask if you need help. Most small to mid sized business owners are experts at what they do. When it comes to things like local SEO (or Tampa local SEO), many are smart enough to learn it if needed, but they just don’t have the time. This is a real problem, as online search was important for getting new business before…. now it’s absolutely essential. If you drop the ball on this, you are like most business owners in your area. So don’t be like most business owners in your area! If you need some help taking care of all this stuff and keeping up with it, that’s why we’re here.